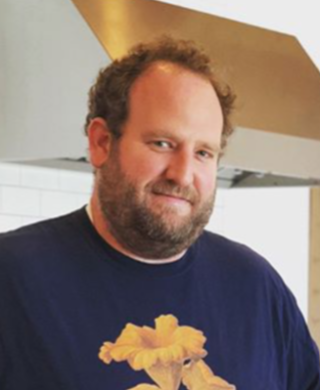 Chef Daniel Kedan is the owner/executive chef of Backyard in Forestville. Since it’s opening, in late 2012, he has been awarded Michelin Guide’s Bib Gourmand each year, as well as Slow Food’s Snail of Approval, and most recently featured in Truth, Love and Clean Cutlery. Daniel has been featured in countless articles and magazines for his culinary & community work. His passion and skills for the culinary arts, and support of local ethical farming communities, are held in high regard. He has received high marks from food critics, as well as the community. His culinary career has taken him to work in some of the best kitchens (Ad Hoc, Solage, Cantinetta Piero), as well as being featured at the prestigious James Beard House, in New York City, in 2015. Daniel’s culinary passions have led him to be an advocate for small local farmers, as well as his sought after cooking classes, both in the kitchen and on the farm. In his kitchen, at Backyard, Daniel not only talks the talk, but he walks the walk by sourcing almost all of his ingredients from within the Sonoma county food shed.